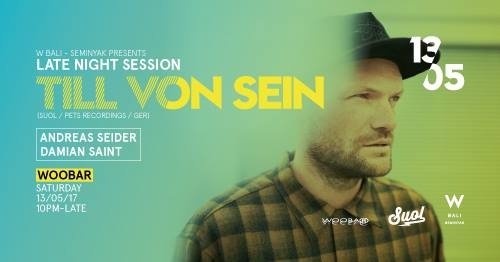 Alongside his trademark sound, Till von Sein exudes an aura of noble grandeur mixed with the genuine enthusiasm of a child with a favourite toy when he’s busy in the DJ booth. But Tilly’s toy, which in this case is house and its countless derivatives, won’t ever end up forgotten in the corner. Long after the wrapping paper has been thrown away, what Till loves has yet to lose its magic. For von Sein, the sound of an 808 clap triggers a state of ecstasy, which in his hands emerges as pure euphoria on the dance floor. Time and again, his thumping transitions and heart-racing sets send listeners into overdrive, revealing the very core of house, soul and techno, while hitting on just what makes these genres so exciting.